With many years experience providing detection and response technology for military installations, Symposium understands the unique needs and requirements of defense and security professionals. The Horizon EME accommodates specialized SOP’s, and is ideal for monitoring large areas and diverse infrastructure. Combined with the system’s high levels of security and reliability, the EME provides a real force multiplier when it comes to physically securing even the largest and most sensitive of installations. The Horizon EME integrates with many different types of remote sensors and monitoring technologies, providing the ability to remotely detect a wide range of alarms and alerts. Any number of zones, buildings, complexes and areas can be monitored from one system, greatly simplifying security monitoring for a large installation. SOP’s, maps, floor plans, premise info and other information is instantly available, as well as information specific to the types of alarms being detected. Integrated dispatch and mobile data capabilities provide personnel with better response and management capabilities, increasing speed, safety, and effectiveness. The EME’s advanced distributed architecture supports back-up monitoring facilities, providing redundant detection capability, as well as the ability to monitor several installations from one location while still maintaining local security operations. Because the EME is designed for integration, it can work with the widest range of third-party technology and data sources. This means that as new types of detection and security technology becomes available, the EME will become even more useful than ever before. 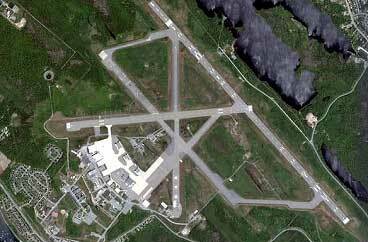 The EME has a proven track record of operation at numerous military installations. And as a company, Symposium has a proven track record of meeting the operational and procedural needs of national security clients to the highest standards. With Symposium you can look forward to a fast, thorough and secure installation, completed to your needs and specifications, on time and on budget. The result is the most comprehensive and successful outcome – the best technology, the best implementation, the best service, and the highest value in the short, medium, and long term.